In view of the upcoming Budget 2012, various businesses and organizations including the Association of Small and Medium Enterprises (ASME), the Institute of Certified Public Accountants of Singapore (ICPAS), Singapore Business Federation (SBF) and Singapore Chinese Chamber of Commerce and Industry (SCCCI) have come forward and voiced their concerns regarding increasing labor, business and rental costs, particularly for SMEs and the services sector. On the back of a global economic slowdown and fears of a rough landing in China, Singapore company registration specialists Rikvin opines that there is a need to strike a balance between helping Singapore companies without coddling them. Rikvin is also optimistic that the Budget will continue to invest in strategies that will see Singapore’s competitiveness for the long run. During the interview with CNN’s Fareed Zakaria, PM Lee explained that on top of tax concessions, Singapore would also rather invest in the “preconditions that enable a range of industries to take root and prosper” rather than compensate businesses with money if they make losses. These foundations include 1) education, 2) infrastructure, 3) a stable financial system that supports industries and 4) a clean, efficient and forward-looking government that can anticipate, prepare for and tide economic bumps. Rikvin stands by the view articulated by PM Lee. Analysis by Rikvin shows that as Singapore develops into a mature economy, its standard of living inevitably increases year by year. The new normal economy also calls for a different approach to mitigating new risks and governing business policies. Therefore, Singapore will best create a future-ready economy by encouraging businesses and workers to keep upgrading their capabilities and not give up trying. Further analysis by Rikvin shows Singapore has indeed anticipated the economic bumps. Hence, inducing innovation and productivity has been high on Singapore’s agenda and featured in recent Budgets. The Productivity and Innovation Credit (PIC) Scheme, introduced in 2010 and enhanced last year, is one of the initiatives taken to boost Singapore’s economic ante in this regard. It grants every Singapore company a 400% tax deduction on the first S$400,000 invested in six productivity and innovation-related activities. As demonstrated in Rikvin’s PIC Claims Chart, Singapore firms that plan their PIC strategies ahead of time could reap up to S$9.6 million in tax savings on their annual taxable income. However, according to a recent ICPAS’ survey, only 36% of respondent firms have taken advantage of this scheme. In spite of concerns over increasing labor costs, labor growth has been robust in the past year. 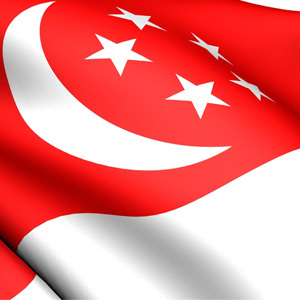 As discussed in previous press releases, Rikvin has observed a surge in the number of queries and applications for the Singapore work visa and Personalized Employment Pass for high-skilled professionals. Additionally, according to the Ministry of Manpower’s latest Employment Situation 2011 report, Singapore’s unemployment rate reached a 14-year low. Throughout 2011, Singapore’s unemployment rate averaged 2%. The average income of full-time Singaporean employees have risen by 13% while the 20th percentile of low-income Singaporeans saw their real income grow by 11% cumulatively over the last five years. “The economic landscape is changing but the situation is far from bleak. Businesses that wish art a Singapore company must continually innovate and create economic value for Singapore. As the saying goes, give a man a fish and you feed him for a day. Teach a man to fish and you feed him for a lifetime,” added Mr. Bakhda. Rikvin anticipates that the 2012 Budget recommendations will be in line with the PM’s sentiments at Davos. Rikvin also anticipates the upcoming Budget to motivate businesses to tap developing economies by setting up their bases in Singapore and emphasize the abundance of opportunities for high-calibre talent here. The Singapore Budget Statement will be announced on February 17.